Product Review: Sparkle on Your Big Day With Cate & Chloe Wedding Jewelry! Sponsored by Cate & Chloe, Reviewed by Mallory McDonald. You have a wedding approaching. You’re getting ready to walk down the aisle and see the person you love standing at the alter. You’re ready for the most amazing day of your life. You have the dress, but what’s missing? That piece of timeless jewelry that’ll make heads turn as you enter the room remains to be determined. Make sure you complete your style with Cate & Chloe! No sumptuous dress is complete without a pair of earrings or a necklace, so why not finish off your elegant look with the Cate & Chloe Bridal and Wedding Jewelry? Check out our product review! 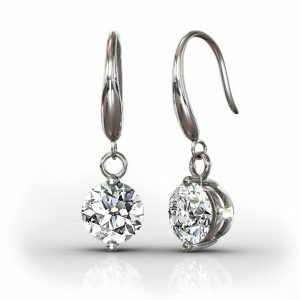 These earrings will be sure to keep a smile on your face and a sparkle in your ears. The round-cut diamonds will be shining from the moment you walk down the aisle until your last spin on the dance floor. This glistening pair values and $152. Dare to bring out your Audrey Hepburn side with a more simplistic earring. 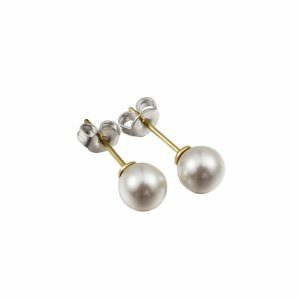 Another polished option are these pearl studs. The classy studs will be sure to give you the look of sophistication. The gold adds that subtle beauty without taking the charm away from your dress! The retail price for this pair of earrings is $131. If you want a necklace that makes mouths “drop,” you’re going to want to try this. 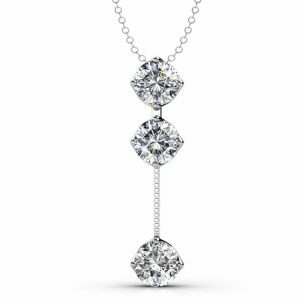 The prong setting on this piece applies more light to fully showcase the beauty of a Swarovski crystal. There are three round-cut Swarovski stones hanging delicately against your chest, guaranteed to make you look absolutely stunning, and to make your significant other fall in love with you all over again. This values at $175. These pieces don’t only have to be for the bride. In fact, accessorizing can help turn any outfit into a masterpiece! They can be a gift for your bridesmaids, and they can even be worn by a guest. Cate & Chloe’s goal is for you to feel your best in whatever you wear. Cate & Chloe strive to make sure you get the best jewelry at affordable prices, so you can feel glamorous at any time. 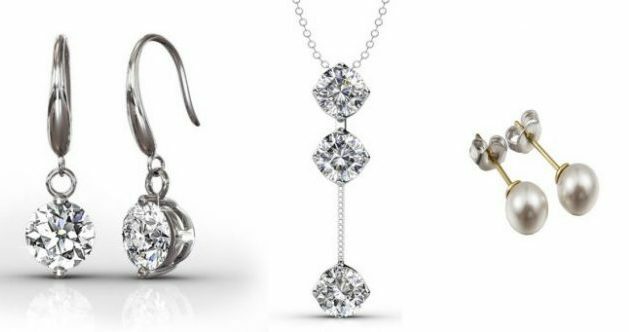 The goal for this bridal collection is to be versatile, elegant and timeless, and that’s what these pieces of jewelry certainly do!